Scar Guard Alpha Industries Ltd.Alpha Industries Ltd. 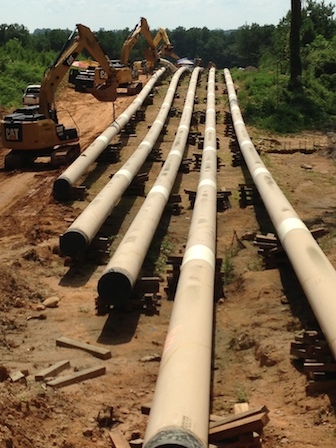 The Scar Guard line of products is patented and designed to protect field joint coatings from the abrasion stresses and scarring of directional drilling, HDD and boring. Scar Guard creates an abrasion resistant, sacrificial outer laminate which protects pre-approved field joint coatings such as epoxies, shrink sleeves, and cold or hot applied tapes. Controlled set times, packaging and extreme conformability provide for fast installations in any project environment. 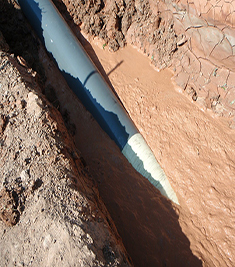 The Scar Guard line of products minimize the need for costly spot repairs after a pull back and provide long-term protection of underlying field joint coatings.